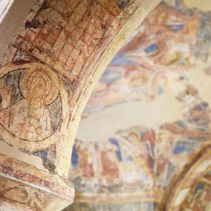 As part of The Canterbury Journey project, the Cathedral holds two conferences – a biennial Conservation and Collections Conference in November, and an annual Young Futures Conference, also in November. In 2017 the focus was on The Black Prince. Both the Young Futures and Conservation & Collections conferences were very successful, well attended and enjoyed by all who did. 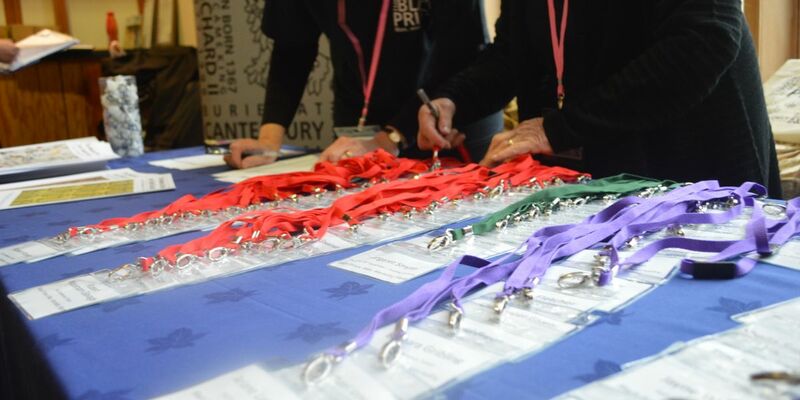 A number of volunteers were recruited as part of the conferences and feedback from their experiences and those from conference delegates was very positive. You can find all our volunteering opportunities for The Canterbury Journey here. We also offer a programme of study days, lectures and talks across a range of subjects including theology, the arts, cultural and heritage. In addition, the Cathedral is the host venue for a number of external conferences throughout the year. Details can be found on the What’s On page. Art plays a significant part of the experience of the Cathedral space, from music to glass, to graffiti, wall art, textiles, books and paintings. Throughout 2019 we will be undertaking a series of activities with leading experts, art historians, conservators, artists and scientists.